Limited availability special deals we're currently offering. Get'em while you can! The COMPRESSBAG is a compression bag which replaces the usual inner bag so that the paraglider can be efficiently packed in the rucksack. Compact stowing makes a rucksack much more comfortable to carry. Compression bag designed to allow the wing to be packed very small so that it takes up a minimum of space in the rucksack. 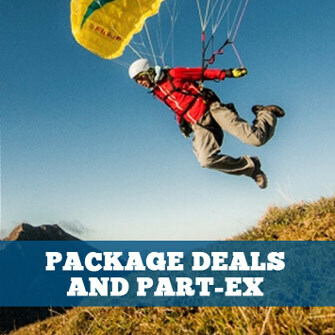 High quality paraglider inner bag designed and made by Advance. Full-face protection with good field of view and hearing. Light weight, low drag and good value for money. Vane wheel sensor with handgrip. Outer rescue container combined with flight deck, adjustable for easy viewing of instruments. 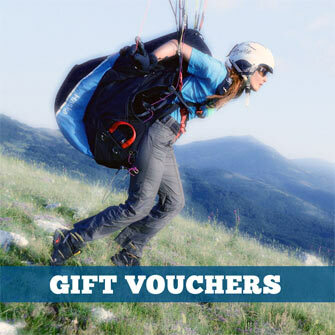 All-round harness for leisure, sport and XC pilots.